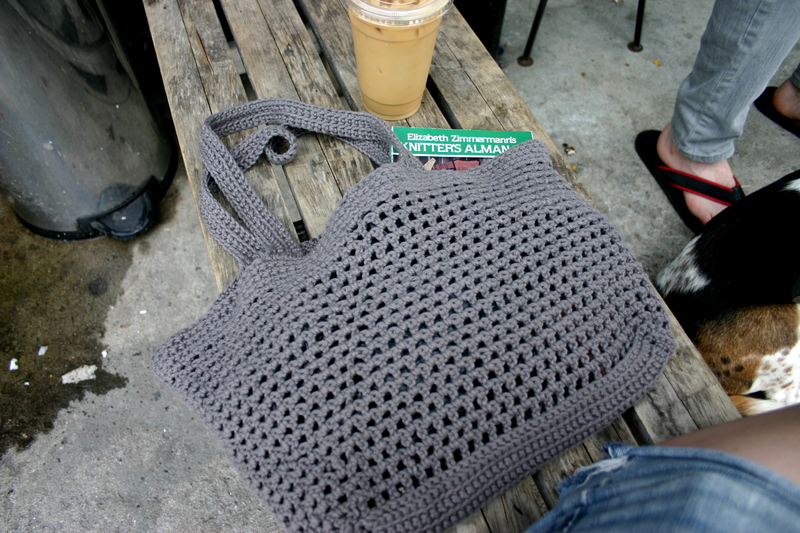 I finished off the crochet market bag last night and decided to take it for a test run to the coffee shop this morning filled with just the essentials- plastic baggies for doggie doo-ty, keys, wallet, sunglasses, and a knitting book. I haven’t tested it yet with heavy grocery items like fruits and vegetables, though I know it will stretch a little more when filled with those items. Overall, I think this turned out pretty well. 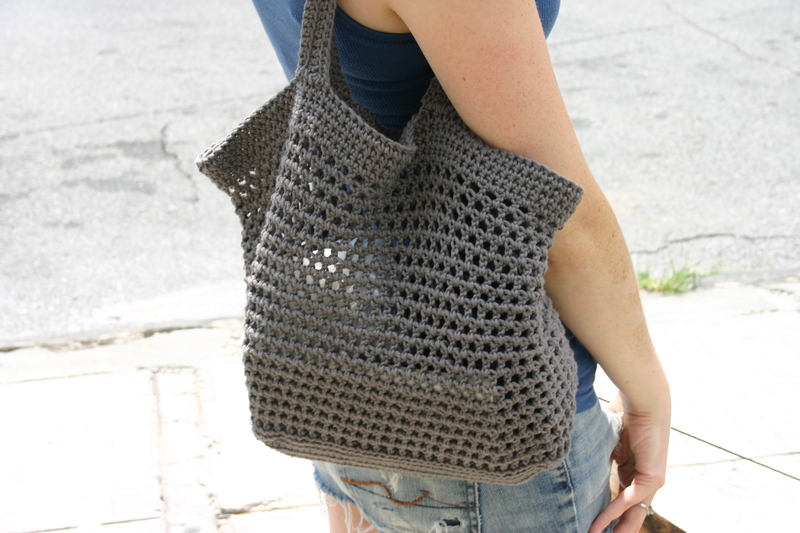 It was a quick and fun project, perfect for the summertime and I think it resulted in a pretty cute bag. awesome bag!! looks really cute, and sturdy. It does look terrific — good luck on the grocery test drive. You’re right, the bag will stretch a bit with the heavier items. I love that you have an Elizabeth Zimmermann book sticking out of it. She was one of the people who encouraged me to design back in the 1980s and foolishly I didn’t listen to her then. I have some catching up to do to make EZ proud of me!